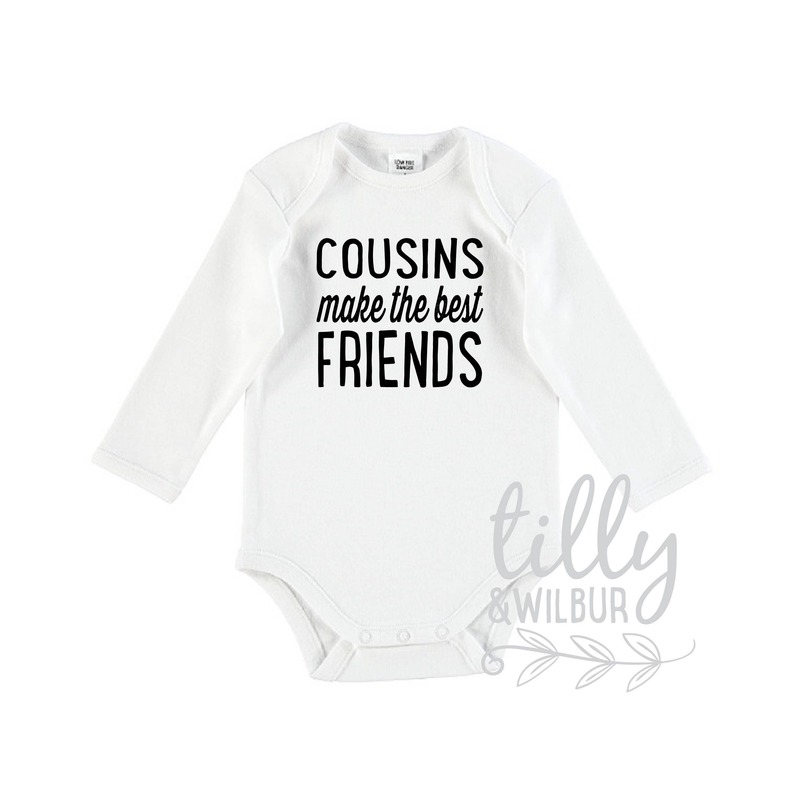 This "Cousins Make The Best Friends" long sleeve bodysuit will make a sweet gift for new baby cousins. All of our bodysuits have an envelope neck and triple stud closure for easy change times. Thank you so much, Harry and his cousins (who will all be born only a few months apart) will look so CUTE rocking their matching onesies!